Tired of looking everywhere to find questions aligned with the Common Core standards? Look no further! These are Common Core Question Stems for Second Grade! 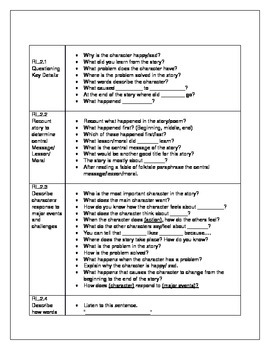 This product includes question stems for ALL Reading Literature Standards for 2nd grade. This can be used for activities, formal and informal assessments, questioning during small group, whole group, or guided reading. It can be used in SO many ways!